There is a new player on the field in the vaping game – specifically for vaping wax, oils and liquids. The Puffco Plus Vaporizer is both stylish and discrete while still giving a vapor full of Flavour. There is a new player on the field in the vaping game – specifically for vaping wax, oils and liquids. The Puffco Plus Vaporizer is both stylish and discrete while still giving a vapor full of Flavour. The Puffco Plus is a massive upgrade on it’s predecessor The Puffco Pro, not just in terms of design and style, but in performance and standard of vapor quality achieved, this really is a big step up. Our Puffco Plus Vape Pen is the new generation of the 2015 Puffco Plus which is new and improved compared to what has been selling over the past years. The new Puffco+ has a mini ceramic chamber offering even and flavoursome heating. They have fixed some minor issues found with the old one in order to produce a vape pen that comes with a wow. It is not often that a vape company releases a new version so when they do we love it. Continual improvements on classic vapes that have already proven to be amazing. The Puffco Plus Vaporizer is a sleekly designed vape that is made from a monolithic structure which adds to the aesthetic elegance of this piece. An extremely portable vaporizer, the Puffco Plus can be easily transported and is a fantastic Vape Pen to take with you if you enjoy vaping on the go. 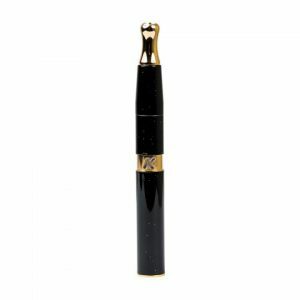 This Vaporizer can be easily slipped into your pocket for easy transportation and is also quite a subtle piece, so if discreetness is a priority to your vaping requirements, then this may be the perfect vape pen for you. One of the more exciting features that have been incorporated into the Puffco Plus Vaporizer is its Sesh Mode ability. The Sesh Mode is the 12 second heating time for the vaporizer and can be activated by double clicking power button. Sesh Mode keeps the oven on an even heat and this gives the user a slightly longer time for taking a draw of vapor. In order to exit Sesh Mode, all you need to do is punch the power button again once more. Just keep in mind that the Puffco Plus Vaporizer will automatically shut off after 8-seconds if the vaporizer is not in use while in Sesh Mode. Sesh Mode is also quite handy when you need to clean out your Vaporizer. 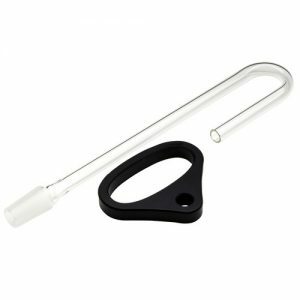 All that the user needs to do is to remove the mouthpiece of the Puffco Plus and hold the vape pen upside down – this allows all of the residue to drain out of the vaporizer. Make sure to allow the residue to run off into a paper towel, because this could get messy! Once the majority of the residue has been drained from the chamber piece all that is necessary is for the chamber to be throughly cleaned using cleaning swabs. A Hands Free Vape mode called Sesh Mode. Deep chamber for 0.3g of vaping wax or concentrate. Well Over 30 vape draws per load going up to 50 on average. An Isolated air way fo ultimate flavor. Puffco Plus battery lasts up to 30 sessions. Temperature control from 190c to 230c with LED colour indicator. Made To Vaporize various oils and waxes. 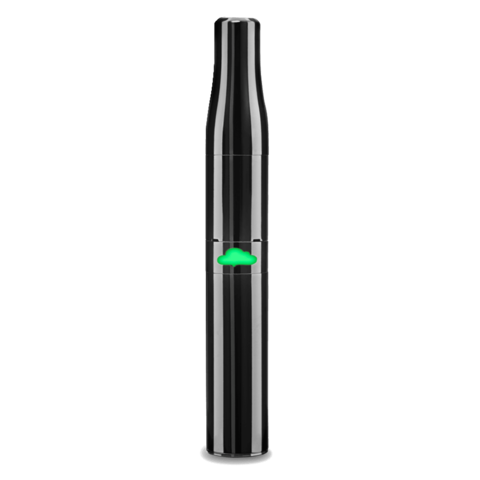 A Vaporizer Pen made In the USA. Rated Best Wax Pen Vaporizer In The World.